The condition of your tires plays an important role in racing. This is true for those who race for recreation or for competitive sport. A go kart will go much faster around the track depending how the tires make contact with the racing surface. One of the essentials to having a good set of tires is the ability of all tires to work together. The amount of contact with the ground must be balanced equally among each one. Also, tires perform best when raced within their specific temperature range. For instance, tires that become too hot will blister or feather, which results in less gripping to the race track. 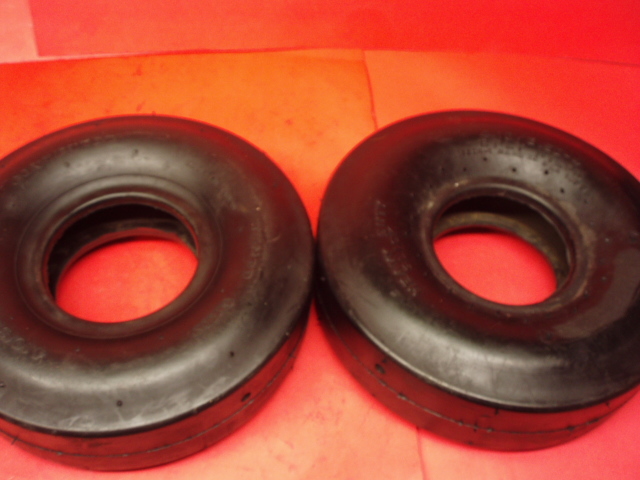 If the tires are too cold, it may result in sliding across the race surface or possible pick up rubber pieces from the track. Ideally, all four wheels should have smooth wear throughout the surface with no signs of blistering. Other factors which affect the tires include chassis adjustments. This will play a role in how your go kart handles the corners. In addition, a kart should be scaled accordingly to the size of the tires. Often times, you can tell what underlying problems the kart may be experiencing by observing the wheels. For instance, if you notice a go kart that develops a “push” through the turns, this is an indicator that the front tires are starting to “feather,” meaning that it’s sliding rather than gripping. To correct this, you will have to plant the front end of the kart and give the tires more grip. You can widen the front wheels to achieve this result. If you notice the go kart “hop” while moving through the middle of a corner, you may want to narrow the front tires. You can also lower the front frame height to help open up the front end. If you experience the go kart sliding while entering a corner, this indicates that you may have to put in a stiffer axle, add longer hubs or stiffen the seat struts. Another method to increase grip for the entire go kart is to add caster to the front kingpin. These are just simple steps you can take to ensure the tires on your go kart are in good shape and functional. Paying attention to these signs will help you drive more efficiently.